Dear Customers: The Specials reflected in this weekly flyer start on Thursday and run through to the following Wednesday. At DiPietro our goal is to deliver our customer the "Finest quality products" at the lowest prices, while providing a high level of specialized service and customer satisfaction. At DiPietro we have full-time trained professional meat cutters, that can prepare any special requests or custom orders to your specifications. We also specialize in freezer orders, such as: side of beef, hind of beef, or lamb. All professionally cut and wrapped to your specifications. 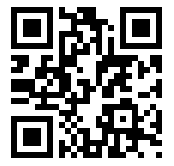 Scan our QR Code and visit our website at any time on your smart phone or tablet.